This is a square Acme Batteries porcelain sign. This particular Acme Batteries sign is predominantly green with white text. 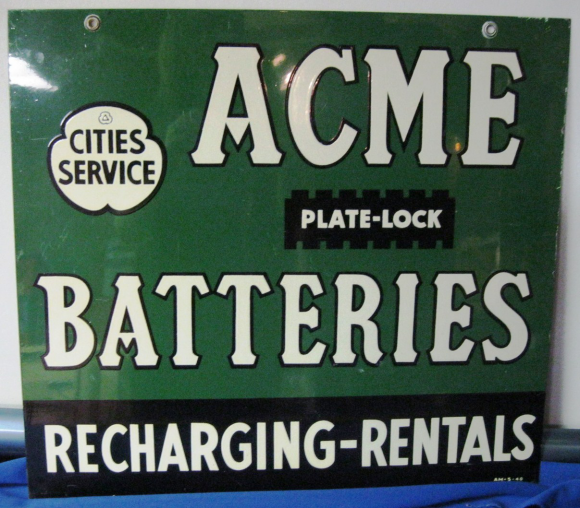 It reads, “Acme Batteries, Cities Service, Plate-Lock, Recharging – Rentals”, and has no other design.